Lima Restaurant and Pisco Bar is the dream of Dario and Amanda Gonzalez Zuniga. After meeting and getting married in Atlanta while Dario was working as a Chef, their path brought them to Naples, Florida, and here they found a new home and a place to make their dream a reality. Lima, Peru is the gastronomical capital of the Americas, and the goal of Lima Restaurant and Pisco Bar is to transmit that excitement and culinary creativity to Naples. The dinner - La Cena, The bar - La Barra, The juice bar - La Jugueria. Each menu reflects aspects of the vibrant Peruvian culture, from traditional flavors to modern cuisine, and they all come together under one roof to provide unique dining experiences. Mas Peruanos que el Pisco Sour! Pisco is: Peruvian brandy, The national spirit, Absolutely delicious. Try it today mixed into one of these classic cocktails! Fresh lime juice - Catch of the day - Chilies - Yam - Corn. No necesita explicación, verdad? What a delightful surprise this little gem is. Wonderful service and great food and drinks. Highly recommend! Excellent food with delightful service. 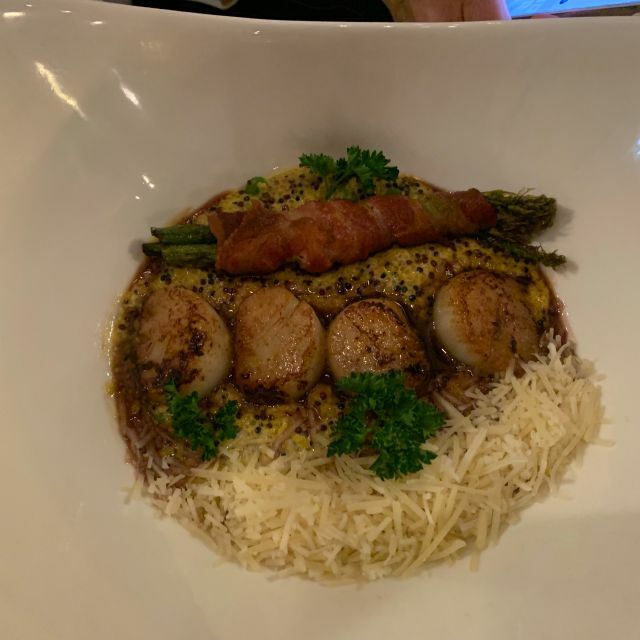 I loved the scallops. Definitely returning. My friends and I went to Lima Restaurant and Pisco Bar to celebrate the end of our girls’ only vacation. The service was fantastic, and the food was absolutely incredible. We plan on making this a repeat stop in our itinerary when we’re in Naples. A total MUST for foodies in Naples area: you cannot miss it! Lima is one of my favorite restaurants in Naples! Service is excellent, food is always fresh and well presented, especially the seafood. Servers always go out of their way to make sure we are enjoying our meal. Nice people, but didn’t seem to know how to run a restaurant. They brought the wrong food to our table, never came back to offer additional drinks after the first round or to check on our liking of the food. Dishes served in ridiculously oversized bowls and most of our dishes were more like soups with what was supposed to be crunchy rice, but was merely mush. Absolutely wonderful experience. Our second time in two weeks. Found by accident first time. Our waitress Julianna took care of us both times. Could not have been friendlier or more helpful! Her suggestions were spot on both times! My mouth is watering thinking about going back! Best ceviche, meat and fish dishes and the strawberry and blueberry meringue desserts out of this world!! We consider this restaurant the best find of the season. 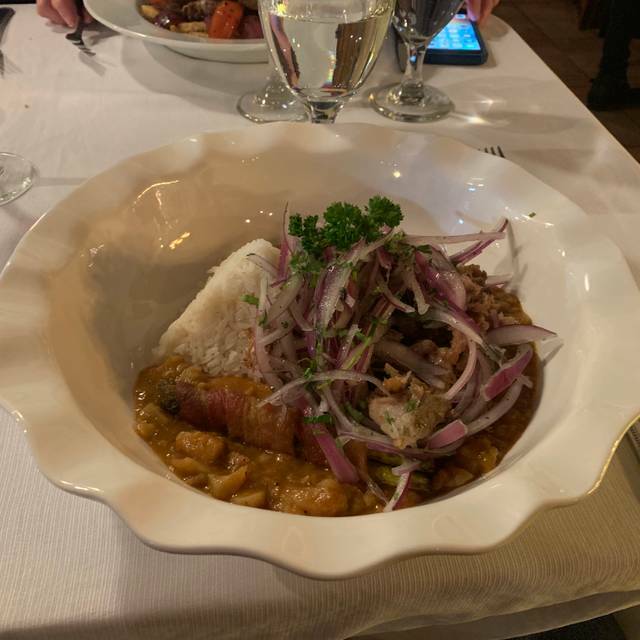 Having visited Lima, Cusco, Machu Picchu and the Sacred Valley I had been introduced to the complex and delicious cuisine of Peru. Lima brought it all back. Our servers, Juliana and Willy, were attentive and friendly. Everything from the specialty drink of the evening to the entrees was exquisitely prepared. We have been telling all our friends about Lima Restaurant and Pisco Bar and look forward to returning many times in the future. Les cocktails proposé avec la liqueur locale sont terrible ! C'est local, donc vraiment une bonne idée ! Le chef propose des plats locaux de sont pays qui sont vraiment très bon et très bien cuisiné, c'est remarquable ! Je conseil vivement ce restaurant ! Une première dans ma vie, j'ai reçu mon plats alors que je mangeais encore mon entrée...et on m'a laissé le plats refroidir à coté de moi...incroyable ! En Europe ce genre de situation est impossible. Mais j'insiste, c'est une très belle adresse pour y manger des plats d'Amérique latine d'une grande qualité. Je suis certain que le chef va régler ces problèmes. Et j'insiste que le personnels présent ce soir là a gardé le sourire toute la soirée alors que c'était l'enfer pour eux ! Lima is a small, comfortable restaurant with a nice ambiance. They were short staffed when we were there and I think their entire nights service came in at the same time. Our hostess, who I think was one of the owners also worked as waitress and bartender. Despite this she thoughtfully took the time to explain the menu, and drinks, foods, and dishes unique to Peru. The food was outstanding and worth the wait. The ceviche was perfect and came with delicious sweet potato rolls we ordered. I had the seafood tacu tacu that was outstanding. My wife had the macho fish, which was equally good. I would have given this five stars if the service had been better. I would highly recommend Lima. This is an excellent restaurant. The servers are very knowledgable and will take the time to explain the various dishes. The food is perfectly prepared, good sized portions and hot. Drinks are good portions and reasonably priced. Will go back to this restaurant. Excellent service. Very good presentation and excellent food. Table visit by the chef/owner. Highly recommended for a change from usual dining. We celebrated our wedding anniversary with 5 star food and service. Their Pisco Sours are better than in Peru. If you consider yourself someone who like to try different foods from other cultures, this restaurant is a definite stop. We started with a trio of ceviche, Nikkei, Classico, and al Aji Amarillo. Serving is large and was shared among three people. We all thought it was delicious and presented beautifully. We also ordered a beef Antichuchos, which is marinated beef heart. Absolutely wonderful. 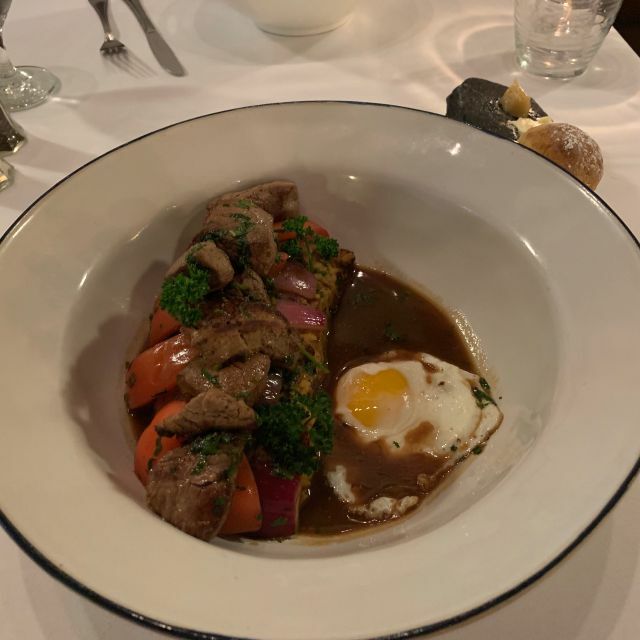 Our entrees included, Chicarron and Carapula, which is slow cooked pork, Seco de Cordero, which is slow roasted lamb shank, and Macho Fish, which is a fried grouper placed atop a seafood stew. All entrees were outstanding and presented beautifully. Our server was delightful. She explained Peruvian food and culture to us and helped us make our choices. The restaurant is very pleasant and comfortable, parking is easy. The entire staff is warm and friendly. I highly recommend. Amazing family-run restaurant with incredible food, Pisco cocktails and the most fabulous and attentive staff. If anyone in your party has gluten sensitivity, please know that there are more Gluten-Free options than not! The food of this restaurant was great and authentic if you really want to experience Peru's cusine. The prices are high nevertheless. The service is great. We loved the whole unique experience. The food was good but the service was very slow. We were waited on by about 4 people. We didn’t get our entree until we had been there an hour and a half. They were even slow with the first drink service. We definitely walked into a Peruvian atmosphere with a warm welcome when we arrived. 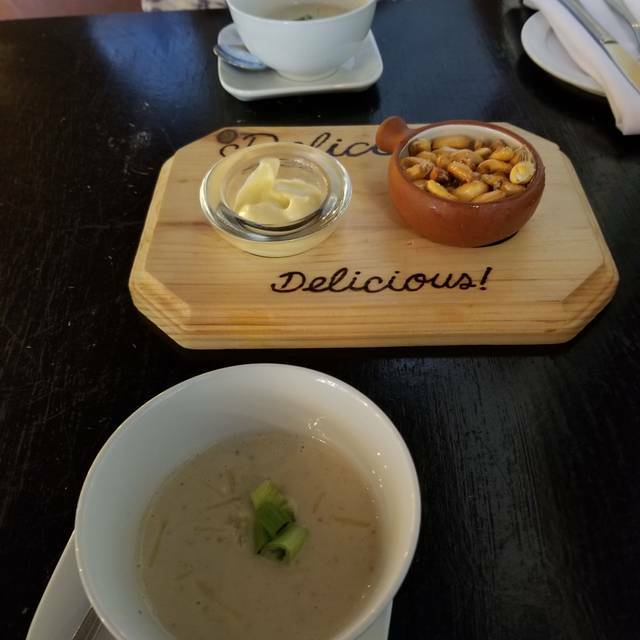 The Pisco Sour was exceptional as was the welcoming asparagus soup. Our entrees - beef and pork was so flavorful and generous. Good variety in menu featuring authentic Peruvian food but easy to choose. Wines delightful and service attentive and excellent. Definitely with go back- it’s a winner! Top notch. Great service, great food. 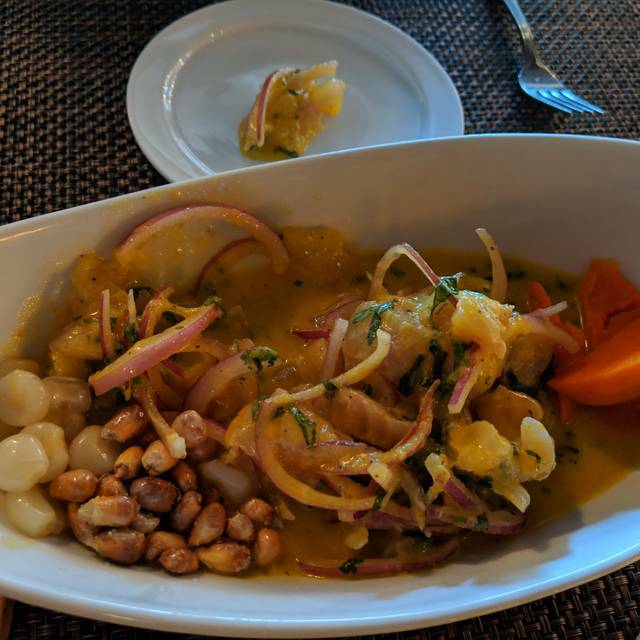 An excellent introduction to Peruvian food and, of course, piscos. The portions are huge so moderate your appetizers and amount of bread you eat before entrees are served. Top marks & highly recommended. Good appetizer and drinks. The entrees were not to our taste. Great Pisco Sour in many versions. Very authentic and worth the short drive off the beaten path. Feels like a warm family run gem. Excellent homemade dinner with each meal made to order...therefore, a little more wait btwn courses....but the food is worth the wait! This place has the most amazing food and superb service!!! Have to go back and keep trying different drinks and menu items! My wife and I went to Lima's for my birthday. It was our first time. We both ordered different ceviches; a Nikkei and a Mixto. Both were delicious! We split a Tacu Tacu Limeno (on the recommendation of our waitress). It was very good, as well. A yummy surprise flan with a birthday candle arrived at our table to finish our lovely evening! Everything was perfect from the outstanding, attentive service, the freshest ceviches, and the welcoming ambience. Would definitely recommend! We had an awesome experience at Lima. The staff is very welcoming, they take the time to explain all of the Peruvian food and drinks offered there. Everything we ordered was well presented and very delicious. We will return and can easily recommend Lima!! Really really good. It was our second visit and we enjoyed it as much as our first visit. A place to discover and the music is not too loud. First time visit and look forward to the next visit. Food wonderful and our server Willie was so helpful explaining the menu. He made sure we had an enjoyable evening. Thank you Willie. Excellent food, great service. Drinks were fabulous. Will definitely return. We’ve traveled and are impressed with the cuisine quality and authenticity . A Naples experience you will always remember and revisit. Thank you for the Peruvian experience! One of the best meals and meal experiences we have had. From the moment we walked in till the moment we walked out, we felt more like we were at a friend's house than a restaurant. The authentic Peruvian cocktails were delicious and all courses of the food were wonderfully flavorful and plentiful. Unfortunately, we were too full to try dessert. Next time! Don't miss eating at this gem! William our server was attentive and enthusiastic in describing the food and drinks. Three of us shared Ceviche mixte to start, and then shared two entrees with leftovers taken home. We always enjoy eating here.